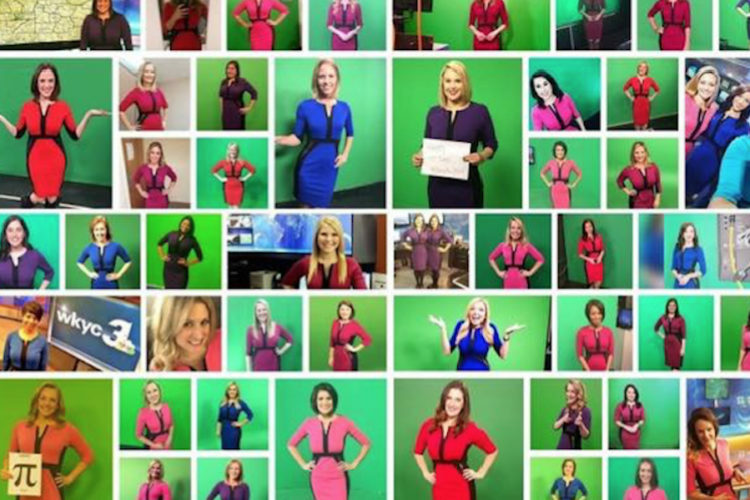 On Tuesday, March 14, you might notice female meteorologists across the country sporting similar dresses, or wearing blue. The fashion statement is a way for them to unify and spread a message: They want to encourage more women to go into STEM fields. Meteorologist Bree Smith, who works at WTVF in Nashville, Tennessee, said “the dress” was a suggestion that was made more than a year ago in a private Facebook group of female meteorologists. The idea took off, she said. “The dress symbolizes the community of lady broadcast mets who support and encourage each other. Wearing the dress or the color blue is our collective effort to extend this support and encouragement to all women in STEM and young girls we hope will pursue STEM,” Smith said. The date is 3.14, or Pi Day, and that’s the reason for the date selection, Smith said. It’s available on Amazon.com for less than $30. STEM fields include science, technology, engineering and math. The study of meteorology involves extensive coursework in advanced math and physics classes. Bree was an Atmospheric Science major at Florida International University, and is currently seeking her master’s degree at Mississippi State. “Women are grossly under represented in science fields, and we hope to shine a light, and encourage,” Smith said. Smith said any woman working in a STEM field is encouraged to wear the dress on Tuesday. According to internet statistics company Statista, the reasons women gave for having chosen STEM-based careers include “natural aptitude” (56.1 percent), “passion” (48 percent), “long-term opportunity” (31.8 percent) and “compensation” (31.2 percent). Interest mostly begins in high school, Statista’s research shows, but there is also interest as early as grade school.